the NW rib, in 2010 he tried to climb the Cesen route. The top of K2 Vassily reached only in 2011, via the NW ridge, teamed with , Maxut Zhumayev, Gerlinde Kaltenbrunner and Dariusz Zaluski. One of the strongest high-altitude climbers of Kazakhstan Serguey Brodsky, a member of the team CSKA Kazakhstan, and professional mountain guide told about the ascent in 2005. 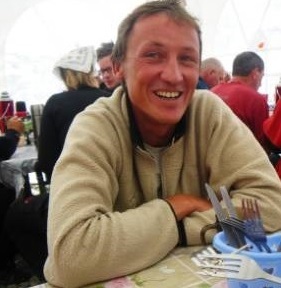 (He twice was on K2 with Vassily Pivtsov: in 2005 and in 2007, when the team made an attempt to climb K2 from the North - managed to climb to 8400 m). -In 2005 we climbed K2 together, Vassily, Maxut, Damir Molgachev and me. I believe that me and Pivtsov didn't pass last 20 vertical meters to the top... I then watched photos taken by others on the summit, and I was so sad..., "the toad was choking". We almost reached the top, there remained a short ridge only. Molgachev and Zhumaev turned back earlier. - Why didn't you summit? -Time's up. Broad peak standed opposite us, and we saw that the top was already at sunset. We worked almost 24 hrs from tent to tent that day. - But you're alive. I read just now in Anatoly Boukreev's diary (in the book "Above the clouds"), as he climbed K2 via the Abruzzi, with Reinmar Joswig and Peter Metzger, they've passed the bottle, traverse, reached the top too late, and his partners could not descend in the dark, and fell down... Anatoly found the tent with hard. - We miraculously remained alive. I removed ropes and brought them down in night... Then I found Pivtsov on the slope, his eyes were beaten by wind with ice, and he became blind. Later we couldn't find the tent... Such a batch was! Come on, we chose such life. - And in the winter the days are shorter..
east. It's harder, but safer, but Abruzzi is shot, the whole. And you can't cross the bottle neck fast, you have to stay under the huge serac for hours... If you'll climb from the east, you have to cross the bottle too, but at least the lower part of the route will be safe, the lower part on Abruzzi and Cesen is dangerous. The safest route to K2 is from the North..
- What can you say about Vassily's team now?